· Shoppers who purchase $30 or more of the promoted P&G products from the pre-selected retailers have an opportunity to receive a $10 PrePaid Visa card. · Consumers upload or text their store receipt to TPG for DRVS validation. 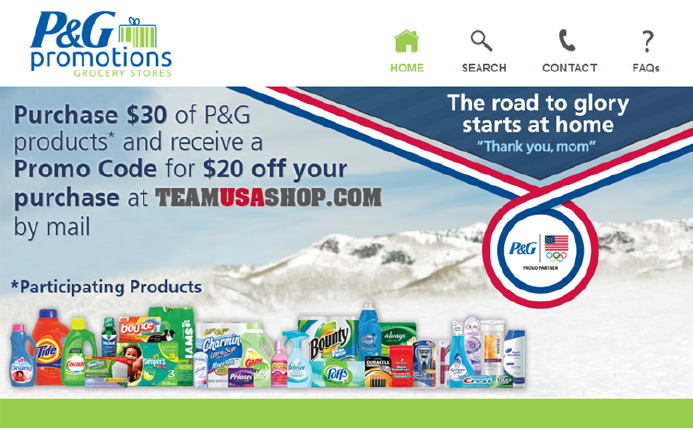 · Once qualified the shopper receives a TEAM USA OLYMPICS GEAR.